I’ve had this activity in mind for one of my Monday’s with Ella ever since I discovered it a few weeks ago. And as daddy was here as well, it seemed a great opportunity to try it out. You’ll know by now that Ella loves her trampoline and is very good at jumping properly and bounces whenever she can (including on the beds and sofa…). With that in mind, today we paid a visit to ‘Jump Nation’. It’s basically a massive trampoline arena of 139 connected trampolines (including some semi vertical ones on the walls). Ella heaven!! The staff were great and were very accommodating, taking into account Ella’s extra needs. They went through different options before we paid and offered to show us the arena so we could decide what was best. 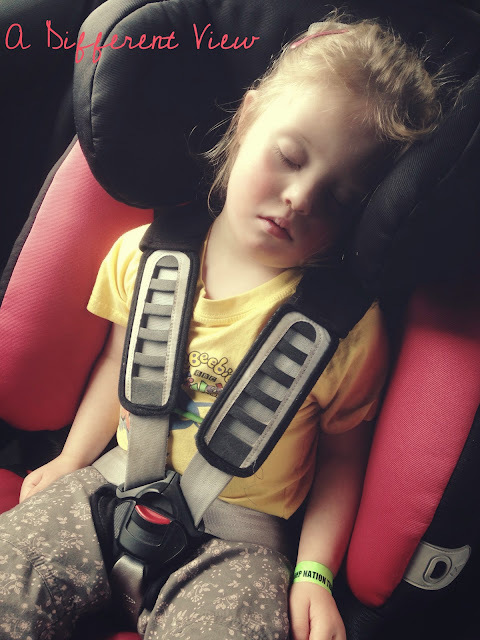 We decided upon daddy being with her as a carer which was £2.50 – the price of a pair of trampoline socks (but he couldn’t bounce, just supervise). The lady on reception said they were hoping to organise some sessions for children with special needs/disabilities and she recognised Ella was using makaton which always wins brownie points with me! 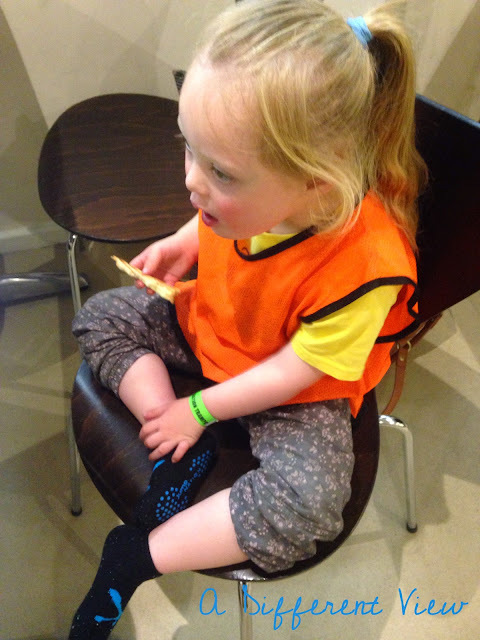 So, kitted out in her jump nation socks, wristband and bright orange tabard off she went. Our very own little ‘Tigger’!! Unsurprisingly, she absolutely loved it. We’re even contemplating Jump Nation as a certain little lady’s 4th birthday party venue!